Here’s her site. Send her some Bucks and Some Love! Respectfully submitted by SilenceDogood2010 this Twenty Ninth Day of August in the Year of our Lord, Two Thousand Twelve. Call the NC State GOP HQ NOW —- Oppose the “Compromise” on Rule 15, Oppose the changes to Rule 12, and Support the full Minority Reports on the Rules. 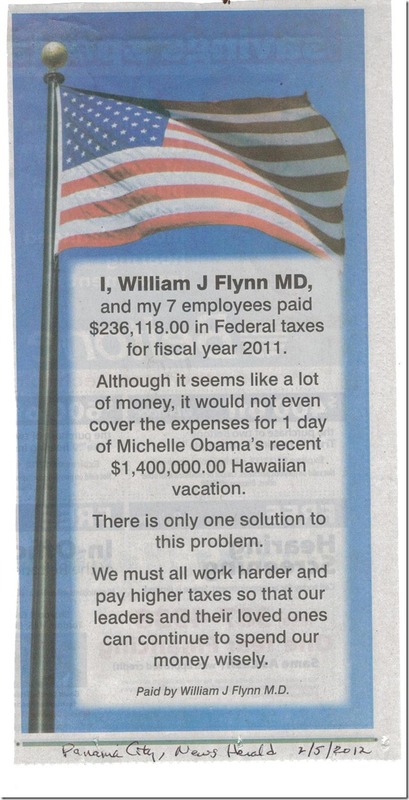 I just received this info on Monday August 27, 2012. We need to alert our delegates in Tampa and STOP the adoption of these new RULES! And here’s a link you can Tweet or whatever via Conservative Outpost. It lists the emails of the Rules committee too. Find your states members. And yet another link for info. Michelle Malkin’s take on this issue. “This past Friday, the RNC’s Convention Rules Committee voted – after several contentous votes – to change the party’s rules to allow future presidential candidates to have veto power over who can be delegates from any state – in other words, take power away from the grassroots and their ability to elect fellow conservatives as delegates. On Tuesday of this week, as Republican National Convention delegates, you and I will be voting on rules changes that could fundamentally change our Republican Party — and not for the better. Over the years, I’ve served on the Louisiana and Virginia GOP Rules Committees. I currently serve on both the Republican National Committee’s Standing Committee on Rules and on the National Convention’s Committee on Rules and Order of Business. I was Barry Goldwater’s youngest elected delegate in 1964, I was honored to serve on President Ronald Reagan’s White House Staff from 1981-1984, and I have attended every Republican National Convention Rules Committee meeting since 1972. 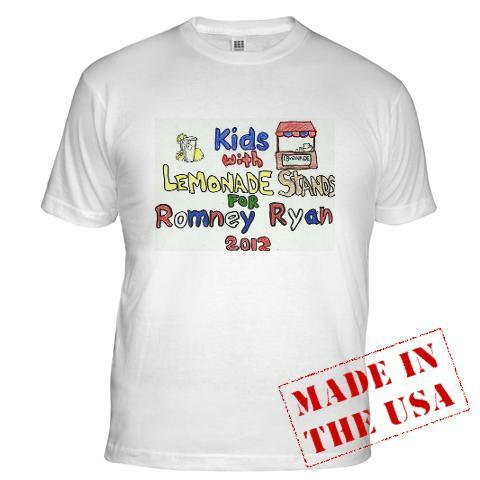 My wife and I have contributed major donations to the Romney-Ryan campaign. These rule changes are the most awful I’ve ever seen come before any National Convention. I’m writing you today to urge you to join the growing effort to stop the worst-ever changes in this Rules Committee’s Report and to vote in favor of amendments to Rules 12 and 15. The Minority Reports will restore important rights and protections which state parties and grassroots Republicans would lose under the Rules Committee Report as written. These amendments to Rules 12 and 15 are contained in Minority Reports supported by at least 25% of the members of this convention’s Committee on Rules and Order of Business. It’s rare for Minority Reports to come before our national convention, but the issues involved here are vital to the future of our party. I must tell you there is tremendous arm-twisting now to peel signers off of the Minority Reports. Finally, whether on Minority Reports or on voting down the Rules, it will require at least six states’ delegations to insist upon a roll call vote. I will not pretend that the deck is not stacked against us. But many state leaders, liberty-minded activists, and grass-roots conservatives are up-in-arms as word of this power grab spreads. Our convention will make this important decision Tuesday as some of our first work. Many folks skip these procedural sessions thinking nothing of importance occurs. This year, that is far from the truth. *** Handing national party officials the power to change national party rules adopted by state and grassroots leaders at the Republican National Convention. For generations, the prohibition of manipulated changes in the national Rules of the Republican Party between national conventions has served as one of the crown jewels of our party. It’s a power grab which opens the door to many future power grabs. *** Stripping state parties in all states with binding primaries of the power of choosing who will represent their states as national delegates and alternate delegates. This outrageous change would empower presidential campaigns to disapprove and remove delegates and alternate delegates selected by rules adopted by state Republican parties. Rather than grassroots activists who won delegate and alternate delegate slots by following state party rules, a large majority of positions would be handed to top donors of the winning campaign. *** Gutting the great and successful reform adopted in the current election cycle to stop the dangerous trend to front-load the selection of national convention delegates. Our party would move again toward a national primary which would deny grassroots Republicans the opportunity to vet presidential candidates in a nomination contest of reasonable length. This reform must not be abandoned. Like most of us delegates to this convention, I’ve spent years gladly battling in the trenches for our Republican Party. And as the President of the Leadership Institute — which specializes in training thousands of conservative activists, students, and leaders to fight for our country’s future — I can’t tell you how disheartened I am to see these rules changes even considered. These rule changes would give good folks like you less of a say over our Republican Party in favor of insiders and consultants in Washington, D.C.
At a time when Tea Party activists have re-invigorated our Republican Party — leading to massive gains in the U.S. House, the Senate, and many state legislatures in the 2010 elections — why would we want to discourage activism? Thanks to their efforts, you and I have a new generation of exciting conservative leaders in Washington, D.C., who — in many instances — were elected despite the opposition of establishment-backed opponents. Certainly this is not to say GOP leaders are always wrong. But history shows that our Republican Party grows when we welcome newly active participants and treat them fairly. Our Republican Party is strongest when we listen to the wishes of grassroots conservatives. Instead of strengthening our party, these insider power grabs will weaken it. For these reasons, I urge you to join the growing effort to adopt the Minority Reports when the Rules Committee Report comes up for consideration by the convention. P.S. Some of the most important work of the convention will take place on Tuesday where you and I will be voting on rules that could fundamentally change our Republican Party for the worse. New rules will be voted on that have been designed to silence state Republican parties and Republican grassroots in favor of party insiders and Washington, D.C.-based consultants. The vote will take place at Tuesday’s convention session, and I’m counting on you join the growing effort to defeat these new rules. Please vote to adopt the Minority Reports on Rules and urge your delegation to call for a roll call vote on all Rules-related votes. Respectfully submitted by SilenceDogood2010 this Twenty Seventh Day of August in the Year of our Lord, Two Thousand Twelve. 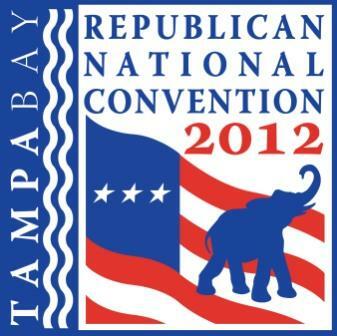 Please contact your Delegates that are now in Tampa. 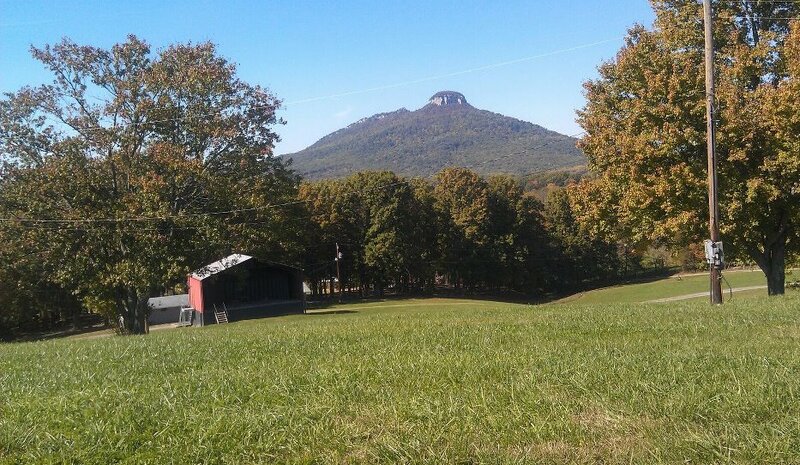 Pilot Mountain overlooking Jomeokee Park. Click to enlarge image. 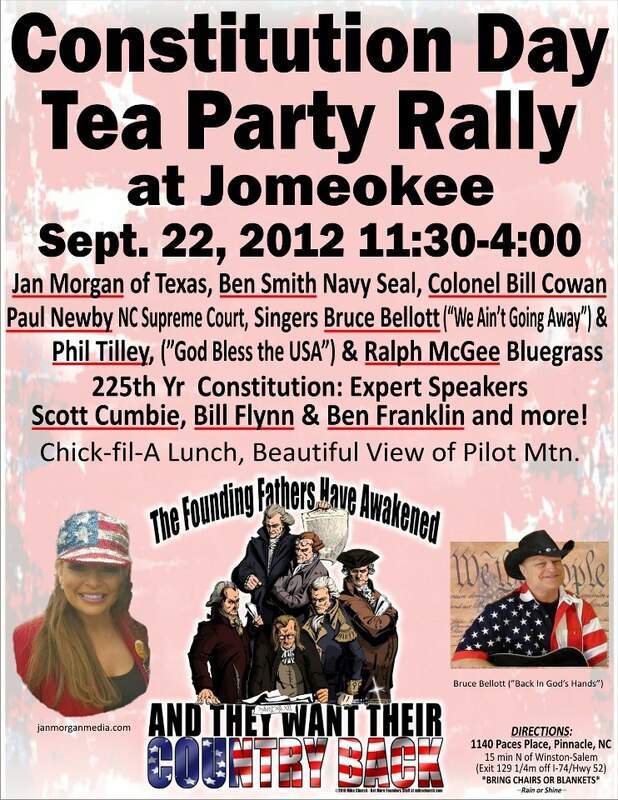 CONSTITUTION Day TEA Party Rally. Last years was a huge success with 2000 tickets printed and over 1200 in attendance thru out the day. This years venue is different from last years (Wilkes Community College). We will be at the beautiful natural amphitheater called Jomeokee Music Park in Pinnacle, NC. It is 15 minutes north of Winston Salem and only 1 mile off of the Highway. There will be a lot of great things scheduled, a family oriented event, great music and just a great time to gather with other like minded individuals across the state. The best part of event is that, it’s FREE!!! A lot of great guests scheduled. I’m positive everyone will be pleased with them. If your TEA PARTY / Conservative group would like to be a part of this event, please get in touch with the Surry County TEA Party Patriots. Let’s make this the BIGGEST TEA Party event across the state and what better time to do it then during Constitution Week! When – Sept. 22, 2012. Jan Morgan. Image belongs to HER and she will be our Keynote speaker for the event. Click for a larger image. And here is a Printable Flyer to distribute throughout your community. Respectfully submitted by SilenceDogood2010 this Twenty Sixth Day of August in the Year of our Lord, Two Thousand Twelve. I realize that every election America has ever held has been important. There are always relevant issues, and policies that have needed to be instituted, altered or done away with altogether, critical course corrections for the nation’s good or in some cases, survival. Of all the elections I can remember observing and participating in over the past seven and a half decades, I speak in complete honesty when I say that the 2012 election is the most important and represents the most diverse and serious ramifications and consequences of them all. In my mind the 2012 election goes far beyond mere political parties, left vs. right and even the obvious critical issues facing the nation. This election is about ideology, about whether America will get back on the horse she was bucked off of or stay on the ground and crawl toward being the impotent, pale and fainthearted, also ran, who lives a hand to mouth existence and doesn’t really matter very much in the neighborhood where the bullies live. That’s what this election is about. I often marvel at the pundits in the media who proudly tout Obama’s dismal job creation record, jobs that exist at government expense, that in many cases have cost the taxpayer seven million dollars apiece. That’s what this election is about. Our national debt is approaching sixteen trillion dollars and if Obama is elected will continue to grow until our credit card gets cancelled and our dollar becomes so devaluated that we lose our long held place as the accepted world trade currency and we have to buy currency from other nations to purchase oil and other imported goods. Our military stands the chance of being underfunded, shrunk and weakened by a president who either doesn’t understand or doesn’t like them very much. That’s what this election about. Under Obama the entitlement class has grown to alarming proportions and threatens to become the most powerful voting block in America, casting their vote for whoever promises them the most, growing so large in numbers that sensible fiscal policy will never again be possible until this nation goes through the inevitable anarchy and chaos that accompanies the end of the party when the money runs out. That’s what this election is about. Eric Holder has proven to be inept, dishonest and partial in his administration of the law. America deserves to have the law upheld and applied equally regardless of race or politics. That’s what this election is about. In spite of having complete control of the White House, Congress and Senate his first two years in office, in spite of having a mandate and a license to do anything he wanted to fix the economy, in spite of being able to use presidential decree like a royal stamp, the best excuse for failure Obama can come up with is that it’s all Bush’s fault. He is not willing to face the American people and admit his impotence. That’s what this election is about. President Obama has gone around the world apologizing for the greatness and uniqueness of America; he stood by and did nothing when the people of Iran were in the streets trying to rid themselves of a cruel and repressive dictatorship. Obama is perceived as weak by the leaders of the world; therefore making America and American interests abroad vulnerable because they believe our president doesn’t have the will or the know how to defend against them. That’s what this election is about. The 2012 election is about what kind of nation we want to live in, a country with a strong, modern military, a nation which projects a don’t tread on me attitude and the ability to back it up, or an ill defended, weak and vulnerable place that cringes at it’s own shadow every time it hears a saber rattle. Do we want to be energy independent by drilling, racking and taking Canada up on the vast amounts the pipeline would provide or do we want to remain dependent on terrorist supporting nations who can slow down our economy on a whim? Do we want to tax and regulate more and more businesses out of America or create a business friendly climate to being back the ones we’ve already lost? Do we want to destroy the very best health care system in the world and place another sixth of our economy under government control? letting the private sector grow, creating jobs and fueling the American dream as it always has. Do I think that if Romney and Ryan win in November all will be peaches and cream? Far from it, but at least it’s a chance to stop the bleeding. Respectfully submitted by SilenceDogood2010 this Twenty Sixth Day of August in the Year of our Lord, Two Thousand Twelve. 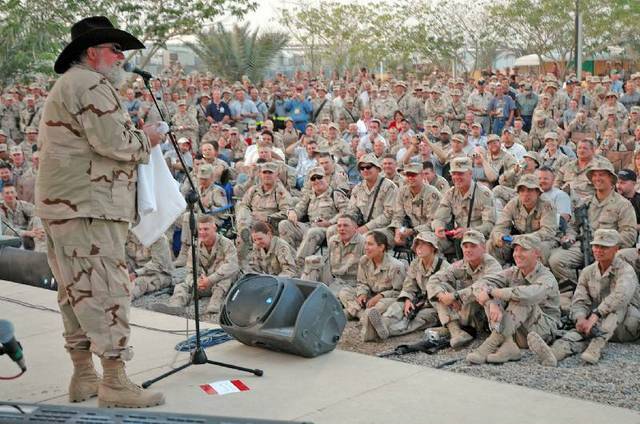 God Bless you Charlie! It has been brought to my attention that we have a 7 year old young lady that is starting HER OWN business. A Facebook friend of mine, has helped her daughter promote her T-Shirt design. Check it out! AND—– If you feel inclined, Share the Cafe Press site or this blog. Respectfully submitted by SilenceDogood2010 this Twenty Third Day of August in the Year of our Lord, Two Thousand Twelve. Wake County Elections Board and FRAUD! 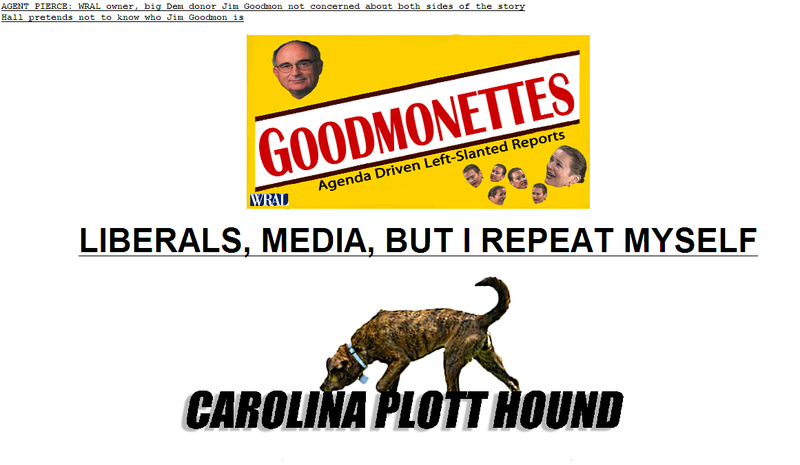 Another “Bit O’ Info” from Civitas…..
Screen grab from the ‘Carolina Plott Hound’ headline. Click for a larger image. North Carolina’s voter rolls are a mess. Non-citizens populate the voter list along with the deceased and absolutely no law prevent them from voting. VIP is doing their best to identify names that should not be on the rolls, both dead and non-citizens. You see, they must do this work, because the State Board of Elections will not and in doing this work VIP has embarrassed Gary Bartlett, Director of the State Board of Elections – that is why Bob Hall popped into the interview. Please HELP if you can. Send a donation or better yet, volunteer some time. THEY REALLY need folks to help review the data. Also, if you feel the need, please express your Displeasure with WRAL and Laura Leslie. Respectfully submitted by SilenceDogood2010 this Twenty First Day of August in the Year of our Lord, Two Thousand Twelve.